The inner bracelet circumference measures approximately 5-3/8", plus a 1-1/8" opening, and 1-3/4" at widest point. 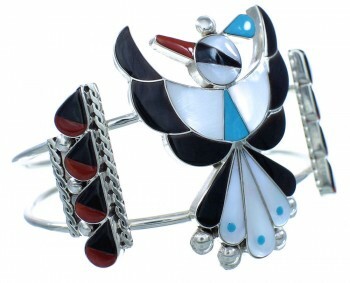 Looking at such beauty tells the capabilities of Native American art! 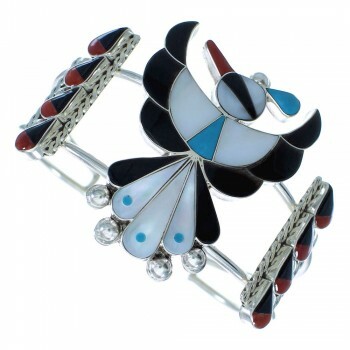 This piece of Native American jewelry is Zuni hand crafted by artist Leagus Ahiyite, out of genuine sterling silver and real Multicolor inlay. 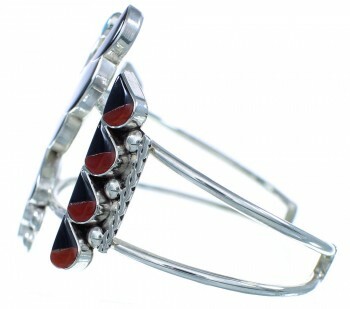 The inlay consists of: Turquoise, Coral, Brown Shell, and Mother of Pearl. 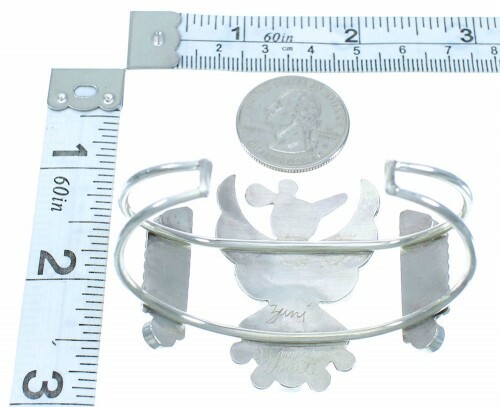 The inlay is carefully set creating a wonderful Thunderbird design while being accented by mini silver beads and twisted silver for an excellent finish. 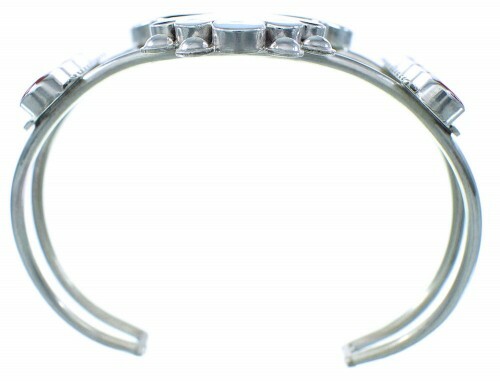 TWO silver bars make up the cuff and complete the bracelet to perfection. The bracelet is signed Zuni and by artist.